Hearty bratwurst and molten beer cheese might come to mind as quintessential beer hall fare, but a new spot in Quincy is rooting itself in lighter forms of brewpub cuisine. Rewild Plant Food + Drink opens Saturday, Oct. 6, billing itself as the country’s first German-style beer hall and café with a fully vegan menu. 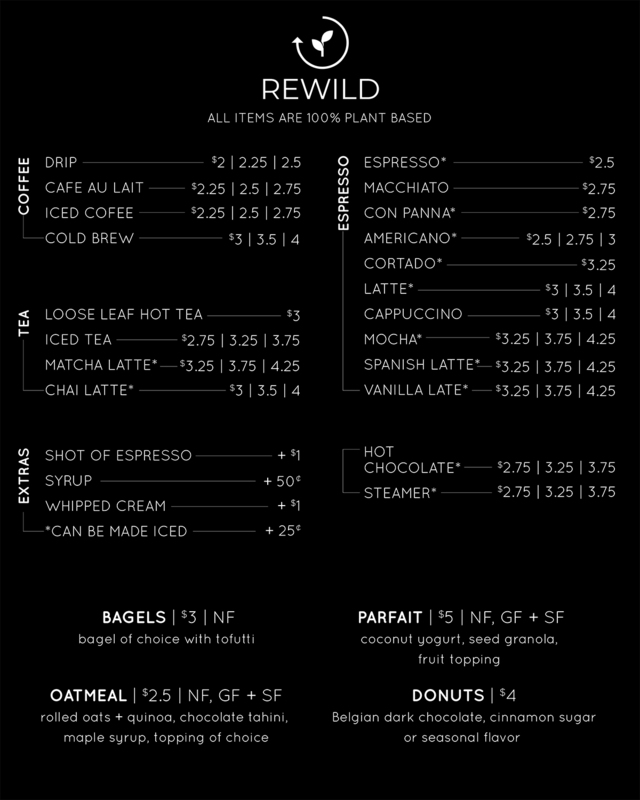 Rewild is the latest restaurant to enter an increasingly exciting scene in Quincy Center, which is in the midst of a massive revitalization effort that will bring more residential housing (and taller buildings), more parking, upgraded roads and MBTA facilities, and more. It’s exciting to be a part of, says owner Pat McAuley. 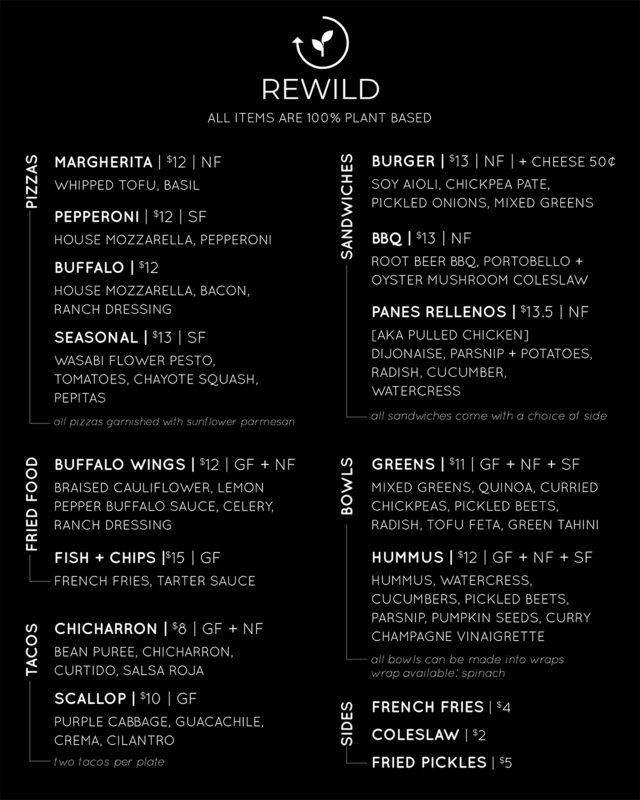 There’s one small downside to the fickle nature of development: Rewild’s opening location at 1546 Hancock St., the former home of the first Fuji restaurant (which moved to Quincy’s West of Chestnut development last year), will be a temporary one, and without a license to serve alcohol every day. 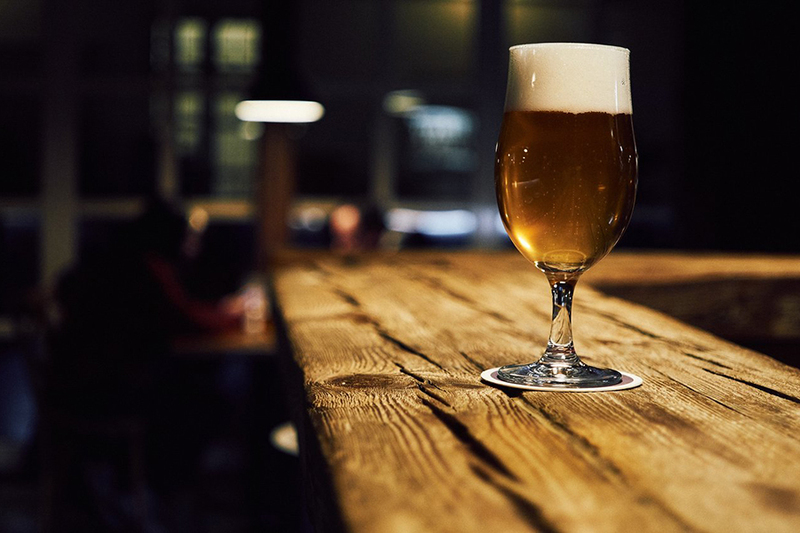 Rewild’s café and restaurant will open daily, while the bar will pour beer and wine only on Saturdays and Sundays. Beer will flow freely every day once Rewild moves to a permanent space within the next few years, McAuley says. Stay tuned for more details on that. 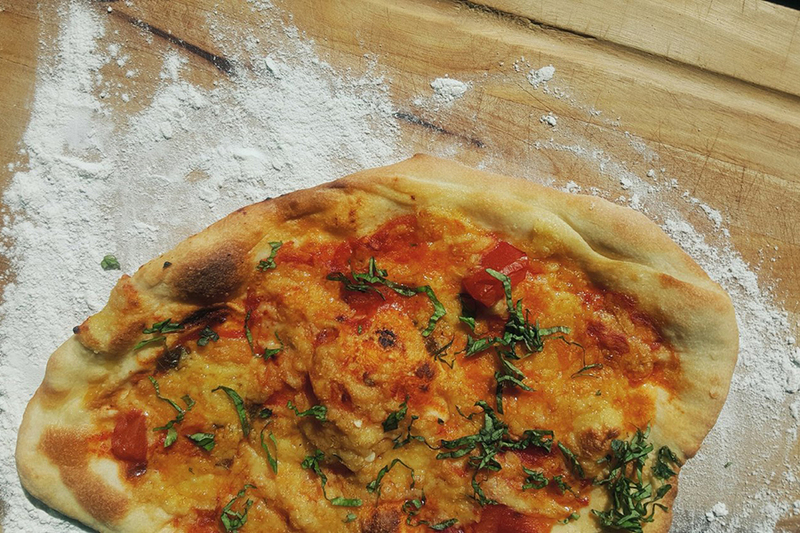 In the meantime, there will certainly be plenty of plant-based fare to try. 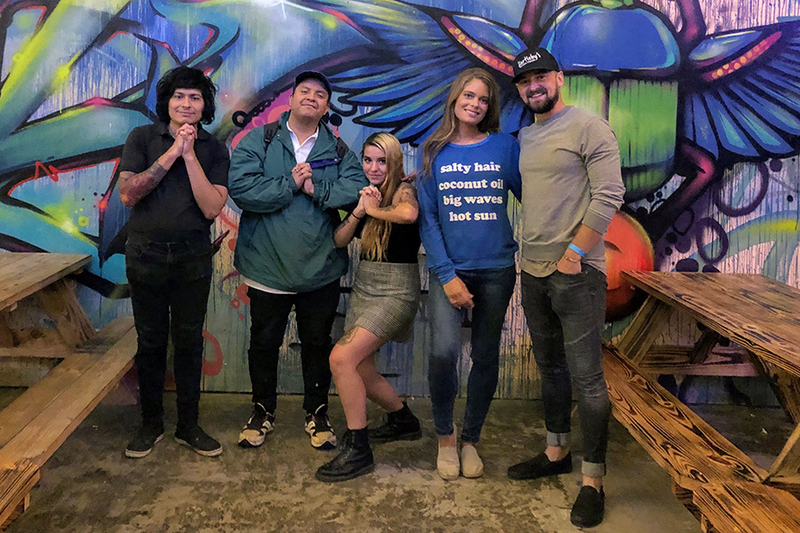 McAuley, who was on the founding team at Barrel House Z brewery in Weymouth and founded a health and lifestyle media platform called Eat Green Make Green, has partnered with chef Will Hernandez and general manager Marissa Hughes on Rewild. 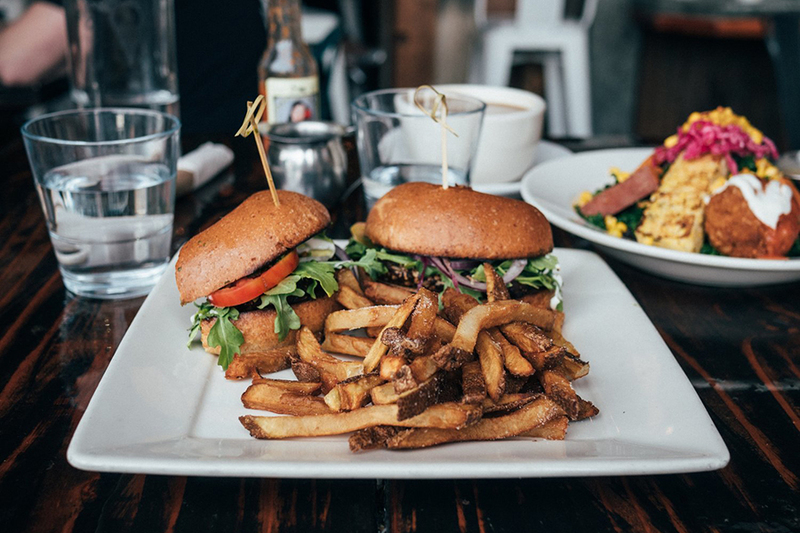 Both Hernandez and Hughes are alumni of the all-vegan fast-food chain By Chloe. 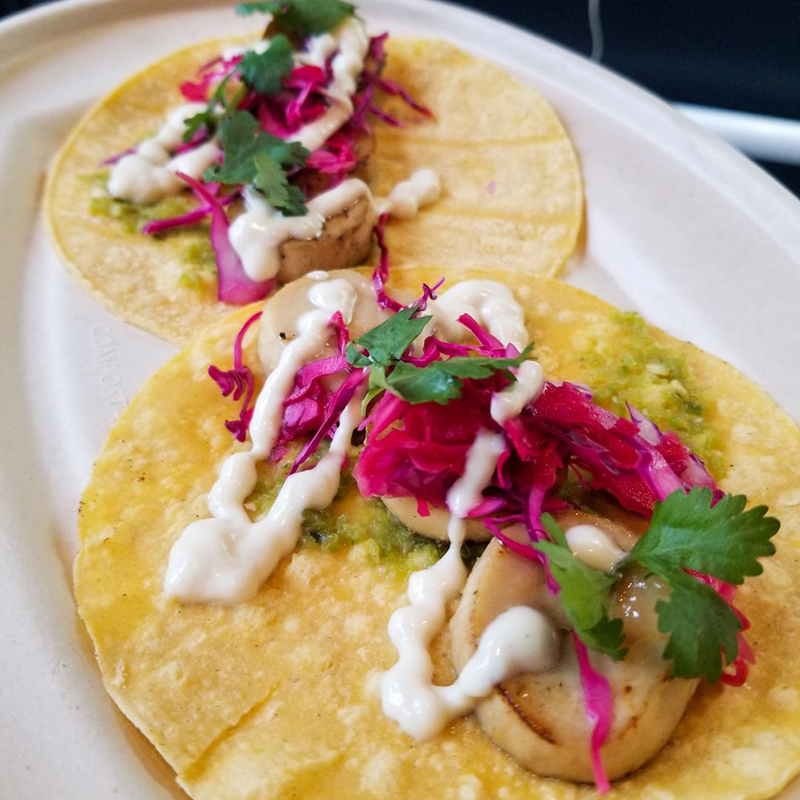 Hernandez’s menu riffs on classic beer-friendly food with items like buffalo cauliflower “wings;” a meat-free Impossible burger; “scallop” tacos with King oyster mushrooms standing in for seafood; and vegan pizzas topped with sunflower “Parmesan,” cashew “mozzarella,” and “pepperoni” made from cured beets. “We’re repurposing vegetables in a way that people are used to,” McAuley says. Check out the opening menu below. Rhode Island roasting company New Harvest Coffee is fueling the café, which will also offer a selection of grab-and-go pastries. That lineup is still to be determined, but some will likely be made in-house, McAuley says, and the team is in talks with a local dessert company called Celebrated, and Union Square Donuts. The café is located near the front of the 4,000-square foot space, with some window-facing stools and two-top tables. A 35-seat bar spans the length of the restaurant, which opens up in the back with German-style tables and benches and a stage for live music. The 24-strong draft list is still coming together, but expect to see beer from South Shore breweries Barrel House Z, Widowmaker, Untold, and Vitamin Sea; Boston-area makers like Night Shift, Aeronaut, Idle Hands, Mystic, Notch, and Castle Island; and from New England and beyond, including from Abandoned Building, Fiddlehead, Singlecut, Finback, Banded Horn, Foundation, Maine Beer Co., Deciduous, Pipeworks, and more. There will always be three kombucha flavors on draft, plus mocktails, juices, seltzers, and other non-alcoholic options. The beer hall at Rewild will open 4 p.m.-midnight on Saturday and Sunday, beginning October 6. The café opens weekdays at 8 a.m., with the full menu kicking in from 11 a.m.-8 p.m. Monday-Friday. 1546 Hancock St., Quincy Center, eatrewild.com.